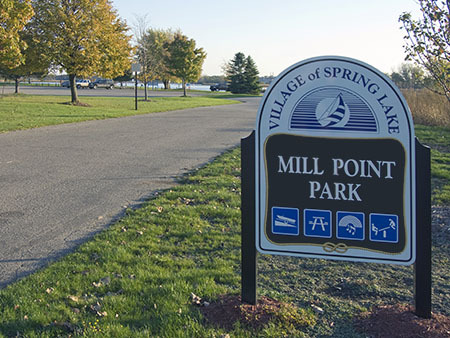 Mill Point Park is located at the end of School Street in the Village of Spring Lake. 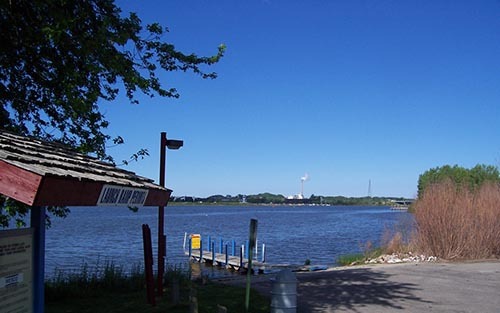 There are grills, playground equipment, picnic areas, restrooms and plenty of parking available. It is a great place to spend an afternoon and put your boat in! 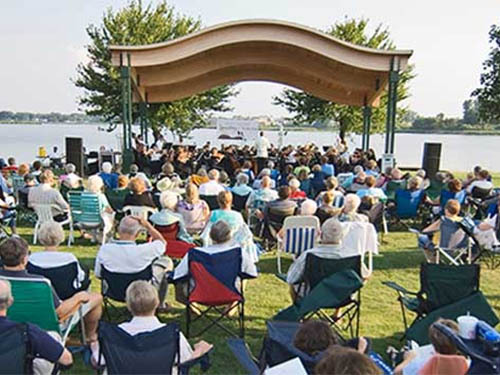 The park also features a bandshell that is available for weddings and other events for a nominal fee. Daily passes can be purchased at the Launch ramp site. There is a self-serve system set up on site. Seasonal passes can be purchased at Village Hall (102 W. Savidge Street) and Wesco (502 W. Savidge Street). Passes must be purchased in order to use the ramp. Citations will be issued for those vehicles using the ramp, but not purchasing a pass. The citations are $30.00 per violation. The concession stand located at Mill Point Park is available for rental, please contact the Village.